RPS-409A Self Contained Ultrasonic Sensor - Deeter Electronics Ltd. RPS-409A Self Contained Ultrasonic Sensor - Deeter Electronics Ltd. 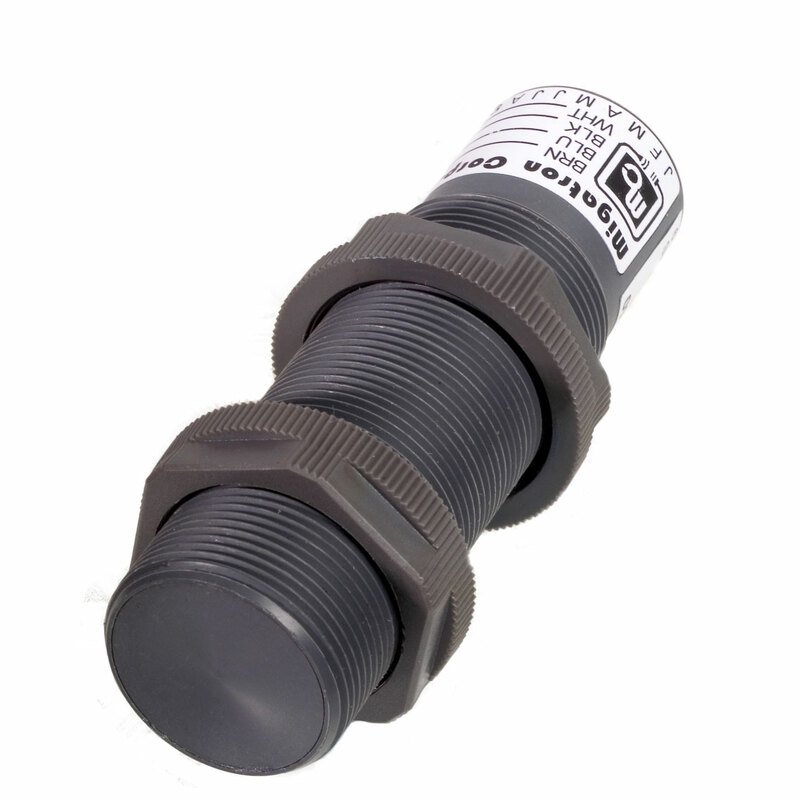 The RPS-409A analog ultrasonic sensor is a self contained sensor in a 30mm PVC barrel housing. It is powered by 20 – 30VDC with reverse polarity protection. The RPS-409A has a short circuit protected analog 0 – 10VDC output. The analog voltage is a fixed volts per inch based on the maximum range of the unit. For example using the RPS-409A- 80, the output is a linear 0.125V per inch. A target placed 10 inches from the sensor will result in an output signal of 1.25V or a target placed at 80 inches from the sensor will result in an output of 10V. The RPS-409A has temperature compensation built in to provide accurate readings throughout the entire operating temperature range. For set up purposes an LED indicator is provided. The LED is Green when not detecting and changes to Red when a target moves into place. The sensor is completely sealed and the connection is made by way of IP and NEMA rated cables. Besides the input and output lines there is a sync/Tx line provided. This can be used for connecting multiple sensors together to prevent cross talk, or to force the sensor to transmit at a particular time. particular time. The RPS-409A is designed to take advantage of today’s PLC and computer analog input cards. The analog card chosen will determine the resolution of the system. The numerical values that are programmed into the PLC or computer will determine the zero and span. If a set point or set points are required in the application, please refer to the Migatron SPC-701, SPC-704, or M-1000 control products. Both the SPC- 704 and M-1000 can also provide excitation power to drive the sensor.